April 26th was National Kids and Pets Day, a day that focuses on the millions of pets sitting alone or dying in a shelter without the love of a family of its own and the magical bond between a child and their pet. In “Mad Dogs,” Gumnut tells the colorful story of two sheepdogs, Red and Blue, who take a motorbike out for a spin after a long day of herding sheep in the Australian Outback. 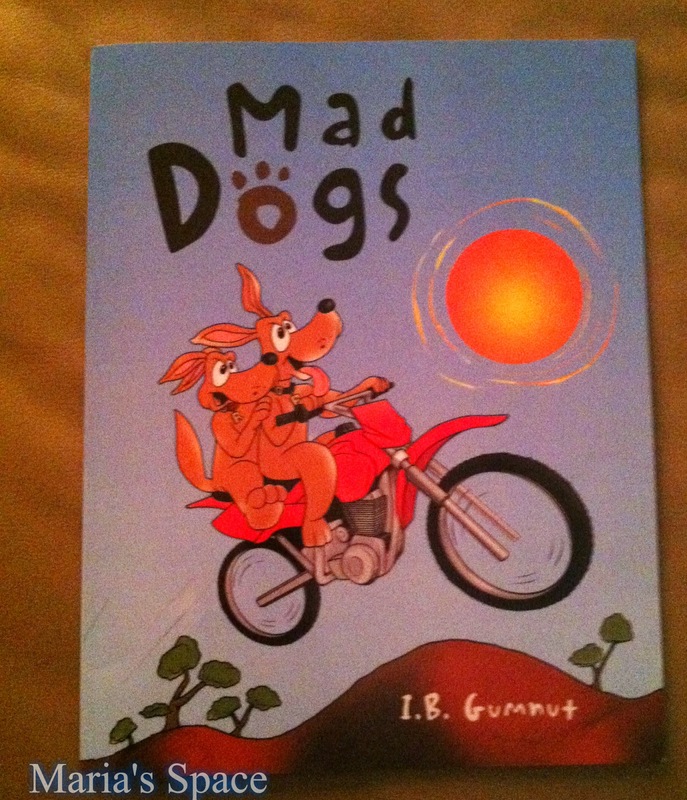 Inspired by Gumnut’s pet dog, Lady, who often enjoys riding on the front of his motorbike with him, “Mad Dogs” encourages children to retain their sense of adventure after the day’s work is done. My reluctant reader and I sat together to read about Red and Blue. Like most children she loves books about animals and willingly came to read as long as I was reading too. In the book rhyming book about two dog friends who set out on the ride of a lifetime in the Australian Outback. She loved looking at the little lizard in each page unless the dogs were running or riding he was there in all his little, green glory. After doing their day job of herding sheep they spot a red motorbike and take a ride on the wild side. She liked the rhyming and the colorful pictures. 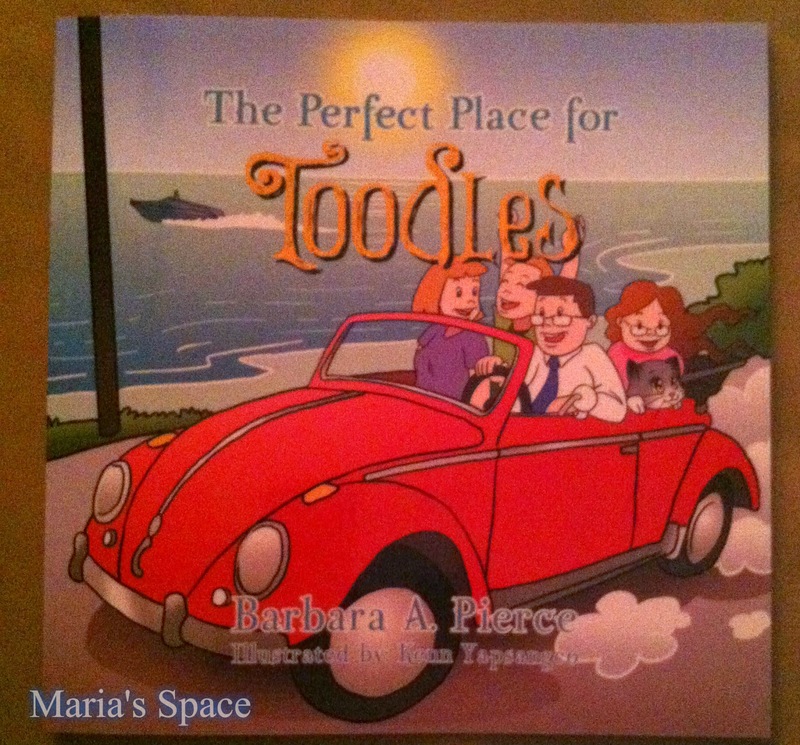 In “The Perfect Place for Toodles,” Pierce promotes paw-sitive pet parenting through stray kitten Toodles and his journey through adoption, growth and ultimate independence. Toodles’ story relays the important message to children that having a pet requires great responsibility, and that they, too, have needs and feelings. I think she really liked this book because of the adorable cat Toodles while I was put off by the ending of a cat escaping to live with a bunch of homeless cats at the beach which is exactly why Barbara Pierce wrote the book. My Goddess was in love with little Toodles and we were both hoping for a nice ending for Toodles with a loving family after being left in front of a pet store in a cardboard box. Toodles is adopted but the family has to move to a place that is not pet friendly. The family tries to find a new family for Toodles but Toodles doesn't like this family because there are two dogs and they don't treat that families cat too kindly. Toodles decides to ditch both families on a trip to the beach for freedom with his cat friends. For me the book was sad. I finished and thought....what did I just read to her but used the lesson in why we currently don't have a much requested pet. We are just not in a position to be the best pet owners right now and I wouldn't want what happened to Toodles to happen to our pet. I think she got it. Disclaimer: I received a complimentary copy of these books for my honest opinion.